Let the The Music Man David Lloyd, with over 30 years of experience as a fully qualified teacher in special education and primary schools working in Gloucestershire developing drama and music at the heart of the curriculum, and as a successful children's entertainer, make learning fun!! 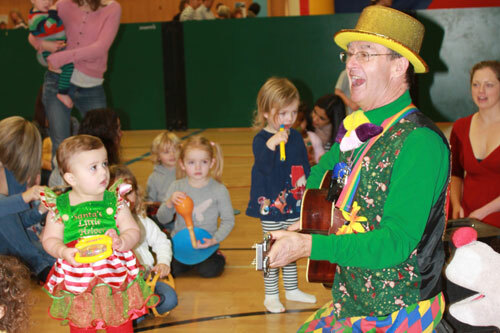 The Music Man has been delighting the children (and adults!) at our playgroup every month for 2 years now and every session is different! He is able to adapt stories and songs to fit in with our current themes, e.g 'We're going on a dinosaur hunt', extend and elaborate the children's ideas, follow the children's lead and keep the session flowing. 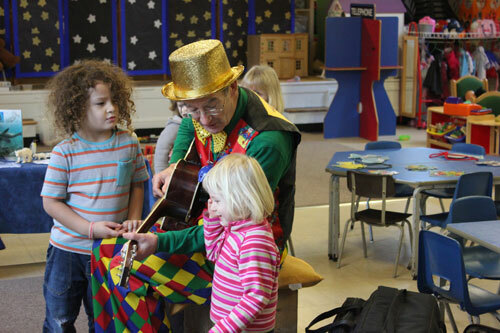 He encourages the children to take on a role while he tells a story and to get involved in helping him to sing a song. 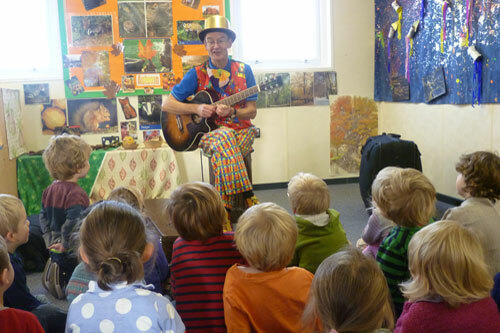 The children look forward to his visits and are completely captivated throughout the session. We are very fortunate to have 'The Music Man' to come along for one of his wonderful sessions on alternate Tuesdays. The children really look forward to his visits and they learn so much from these sessions. He encourages them to listen to instruction, to participate, to use their imagination and recall stories and songs. His patience and his inclusion of all the children encourages confidence and self esteem, These are just a few of the skills learned during one of these valuable sessions. To sum up, these sessions are creative, stimulating and fun!! Sally Hayman - St. Marys Playgroup Pre-school, Charlton Kings, Cheltenham.